Is winter coming early for the M's? Mon., June 15, 2015, 7:02 a.m.
Is winter coming early for the M’s? A GRIP ON SPORTS • If you watched “Game of Thrones” last night, you probably woke up this morning wondering how many of the key characters have to die. But, honestly, how often do they stay dead? It’s sort of like “The Princess Bride.” Or the Mariners. Read on. • Are the M’s done? Is winter already coming for the 2015 team? Or are we panicking too early? They are seven games under the break-even mark. They are 7.5 games out of first, with three teams ahead of them in the A.L. West standings. They yielded 23 runs in two losses in Houston. Now they have four games – two road, two home – looming with the defending world champs. The King of Westeros has a longer life span, it seems, than the M’s right now. Let’s just say things are bleak and move on. That would seem to be the preferred alternative for one Lloyd McClendon, who always seems to believe better days are just around the corner. But what if they aren’t? What if the M’s we see right now are the M’s we are going to see all season? Jeez, that’s a scary thought. Almost as scary – spoiler alert – as Cersei pulling a Lady Godiva without the horse. • There is a little diversion for the Northwest this week. The U.S. Open is underway at Chambers Bay. The course is open for the participants and they are out playing practice rounds. As of now, the only day with inclement weather forecasted is Friday, so the scores may just be lower than expected this week. No matter what, though, just having the golf world’s eyes on the Northwest will be pretty cool. And a welcome respite from having to deal with another double-digit M’s defeat. • WSU: Not a lot here, but we did find this really interesting story on the self-immolation of the Stanford softball program. It’s worth reading if only for a primer on how not to run a college athletic program. • Mariners: I guess it was about time. 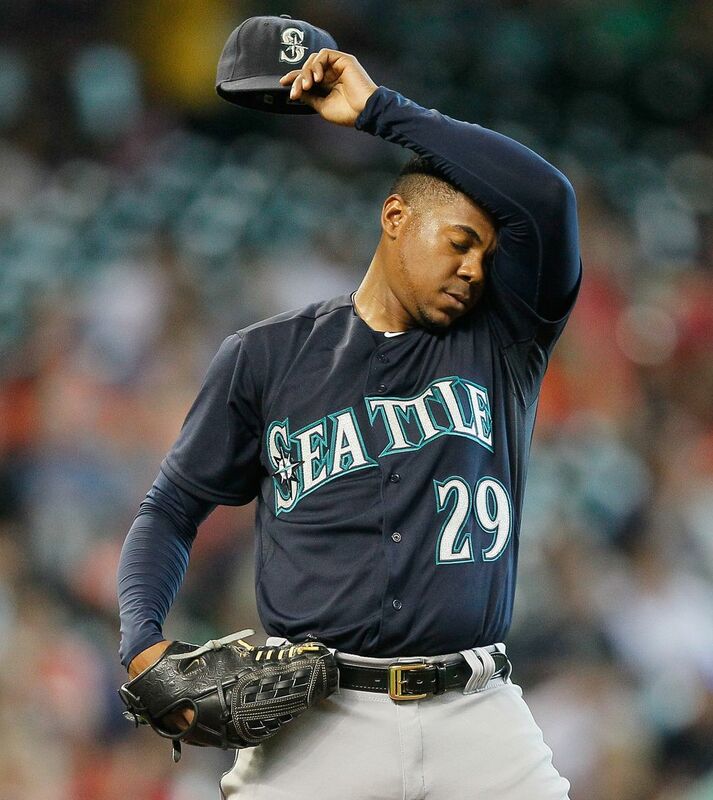 About time Roenis Elias had a poor outing. But did it have to come at such a bad time? Elias couldn’t get out of the third in the Astros’ 13-0 rout. ... Mike Montgomery thinks his time spent in the minors is helping him immensely in the majors. ... Mark Trumbo is the second Mariner in the past few days who was pulled from the lineup with back problems. • Sounders: The top team in the MLS standings? Yep, you guessed it.